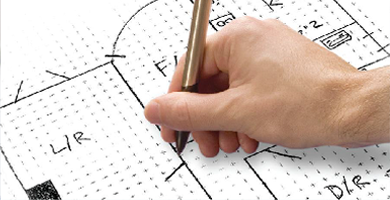 Create professional floor plans in minutes with our easy-to-use, 'drag and drop' drawing system. There are plenty of reasons why thousands of busy Estate Agents choose our ‘DIY’ drawing option - it's quick, it's easy and it delivers professional market-ready floor plans in a matter of minutes! Metropix is the simple to use floor plan drawing tool for estate agents. No previous experience required, become an expert in minutes; no complicated software or computer aided design (CAD) training required. Just simple software to help you showcase your properties backed up by full training and support. Sketch the layout of the building on-site and come back to the office and create your plan room by room. You can even draw it to scale. And if you’re struggling, use our sketch templates to help you started. Alternatively take Metropix with your wherever you go, with the Metropix Mobile app. Draw your plan and publish it there and then with the click of a button. Click 'Plan Complete' and that's it... you're done! Our system is simple enough to create floor plans in minutes, yet powerful enough to produce detailed, professional plans. With our intuitive drag and drop system, an average 3 bedroom house should take you less than 5 minutes. Indeed, you can half that using PlanBank, our unique floor plan archive of over 11 million properties which alerts you to exact and partial matches when you enter an address to save even more time on getting a floor plan started. You can now create floor plans on the move with our Metropix Mobile app; all the features of our award-winning software on an iPad backed by our team of experts. 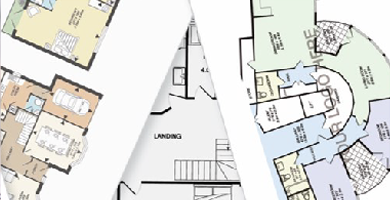 Floor plans are an essential and cost-effective selling tool when it comes to property marketing, with home-buyers rating them as important as photos & room descriptions when searching for a property. Many sellers wouldn’t even instruct an agent if they didn’t offer them! In fact - properties marketed with a floor plan get 30% more interest than those without one. And with our design add-ons, including 3D floorplans you can set your business apart from your competition and really stand out from the crowd. Our floor plans are fully compatible with all property management solutions and in some cases integrated, making it even easier to upload your plans. There's no software to download, in fact you can access your account and draw plans from anywhere, anytime - as long as you are working from a device with a PC operating system. Create floor plans that stand out from the crowd with our innovative product add-ons. 3D: Over half of sellers would not instruct an agent if they did not provide a floor plan on their listing… so how do you make your floor plans stand out from the rest? Simple… go 3D. 3D floor plans require no additional design work. Simply create your 2D floor plan and click to upgrade to 3D. PicturePlus: Showcase your properties and bring particular areas of interest into your marketing by incorporating pictures in your floor plan with PicturePlus. Identify a point on the floor plan you would like to feature, upload your picture and when you click on the button on the floor plan the feature image is shown… bringing you the best of both worlds. Space Planner: Create a truly interactive experience for prospective buyers and design their dream house by giving them the option to furnish the floorplan with our Space Planner add-on. No complicated design needed… just simple software to encourage your customer to interact with your business and help you capture more interest. Branding and Colouring: Add your own personal touch with bespoke logos, branding and colouring. Our in-house experts will guide you on how to make the most of your customisation with our top tips and tools and add a quality finish to your floor plans. 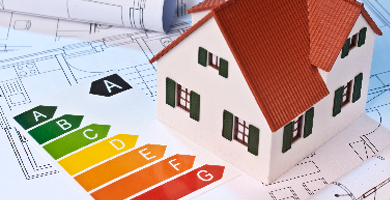 You measure, we draw – simply send us your sketch and we’ll deliver your professionally finished plan within 24hrs. A unique service for DEAs to deliver floor plans directly to Estate and Lettings Agents. Stand out from the crowd - customise your plans with our bespoke colour, logo and styling options.